The key question for us as change agents is which dimension it’s best to be radical on. The only way to find time for Type 3 work is to make it, and then fight like hell to protect it. The priority is special because it’s the first one. A management parable, from my breakfast table to yours. In business and innovation, Teece's model helps you determine who will profit from an innovation. After learning about it, I got to thinking if that model - or a similar concept - could be translated to cities and regions. So I came back with a question - how do cities know if they will reap the benefits of an economic growth initiative? Here's a model to help answer that question. It's unsubstantiated by data, but it's an intuition that I'd love your feedback on. To determine if a city or region will benefit from an economic growth initiative, I propose mapping the initiatives along two axes: the type of growth the initiative intends to create and the source of new revenues created. As it happens, the quadrant look curiously similar to the Michigan Model of Leadership. Type of Growth - is the growth created because of a creating a new product or services that meets an unmet market need? Or, is it a product or service that tries to steal market share from a competitor? Source of New Revenues - are the incremental revenues created generated from customers in the city? Or, are those revenues collected from people from another locality? In other words, are the revenues exports or not? Using the model is simple. Note that the "city" is a placeholder term for the economic subdivision being analyzed. You could replace "city" with state or region. Each quadrant has a distinct flavor. I've included notes in each quadrant to help economic growth teams determine the conditions under which they can reap the benefits from initiatives in each quadrant. Map them on to the model. Initiatives that are 100% new products/services with cash 100% generated from non-local customers would go in the top right hand corner. And so on. Each quadrant has a distinct flavor. Look at where the distribution of all initiatives across the framework lie. Is it balanced? Should it be balanced? Look at the quadrant each initiative is in. Are the conditions in that quadrant met? If so, the city may reap the benefits of growth. If not, their ability to reap the benefits of growth will be handicapped. Does this model made sense? As an economic development professional, do you find it useful? I've had fairly good results once adopting this strategy, but my fantasy football strategy is beside the point. The point is, how you frame your objective dramatically affects your business strategy. So choose the right one. I have been, and likely always will be interested and motivated to improve how institutions work. The three biggest institutions of our time that need to be reimagined are healthcare, education, and government. I don't think this is because healthcare, education, or government are inherently flawed or because the good folks working in those realms are foolish or stupid. Rather, I think those three areas are the last institutions to be reformed since the beginning of the information age because they're the biggest, gnarliest, and most difficult to change. If you claim to be interested in "systemic change" and you're not working in healthcare, education, or government I'd seriously question your understanding of modern-day problems or your courage. These domains are where all the action is*. * - It's worth noting that all these domains are inextricably linked to cities. If you're working for a company, chances are that your company falls into one of two categories: Business-to-Business (B2B) or Business-to-Consumer (B2C). In the past, the way this normally has worked is similar to the auto industry. The Original Equipment Manufacturers (OEMs) - think GM, Ford, and Toyota - are the B2C companies selling their product to end consumers. These companies do the final assembly of the car and build consumer brands. The OEMs are supplied by several tiers of B2B companies - businesses that serve other businesses. Generally speaking, Tier 1 suppliers are big and the companies who supply the Tier 1 suppliers (these are called "Tier 2" suppliers) are smaller than Tier 1 suppliers. Tier 2 companies are supplied by Tier 3 suppliers who are even smaller then them. You can think of it this way: the OEMs are the biggest fish and they use stuff supplied by smaller fish, who are supplied by smaller fish, and so on. That's just the way it was back then. In today's sort of world, it's hard to go out on your own (and say, be an independent car maker) because when you're a big fish you have the benefits of scale. When you're a little guy you have to do all your own hiring, all your own sourcing, all your own marketing, and so on. In a nutshell, when you're a little fish, it's hard to compete because you can't spread fixed costs out across a big, big business. This is all changing, now, though. It's becoming easier and easier to make it as a "little fish", if you're in an industry with a long tail. There are lots of industries that have a handful of big companies and thousands of small players. In this sort of industry, the thousands of little players are called the "long tail." As I've mentioned above, the companies in the long tail don't have the benefit of scale to spread out fixed costs. In theory, someone could make a ton of money by providing a service to all the little fish in a long tail industry. This opportunity has existed for centuries. This is hard however, because it's not trivial and is often expensive to serve thousands of customers simultaneously if you're a small company. Coordination costs make it difficult to serve the long tail. Kickstarter - The market for creative goods (e.g., video games, movies, gadgets, etc.) are often dominated by big players. One obstacle to being an independent player in the creative goods market is the difficulty of finding funds and the difficulty of attracting a customer base. Kickstarter helps independent people making creative products do both. Amazon Web Services - If you're a software developer, you need server space and computing power to run an app. This stuff, historically, was only accessible to big companies with deep pockets. Now, Amazon Web Services and other cloud storage and cloud computing providers make it affordable for independent developers and small software companies to get their prototypes off the ground. Elance - Large companies gobble up talent and do many things in-house. It was hard to be a freelancer (whether it be in writing, publishing, marketing, consulting, etc.) because you couldn't find clients. Now, Elance is one of the many services that allows talented professionals to find clients, and avoid selling out to big firms (or even small ones). At the same time, small companies now have unprecedented access to skilled professionals, often for short-term jobs. Castle - There are a few big property management companies. But most landlords aren't big, and there are LOTS of small property managers who own and manage real estate. The cool dudes at Castle are working on a product to serve these folks. Oh, and, even more awesome...they're Detroiters! For a long time independent companies / freelancers have been woefully underserved, because the costs of serving can't sustain profitability. But now, because of digital technology, it's suddenly becoming possible. If you're a clever entrepreneur, one way to be very successful (and feel great because you get to serve an underserved market) is to do the following. I'm focusing on B2B companies in this post. But, the same logic could be applied to B2C companies. Also, if you're interested in serving underserved companies through business, check out the Base of the Pyramid Strategies work being done at the Ross School of Business. (I'm taking a class on this next term, I'm stoked). Find a market that has a few large players (because this indicates that there's money to be made there) but that is also highly fragmented by loads of small or independent players. Understand the needs of the independent players. How are they being underserved? If you start thinking about it, you'll likely think of many, many, industries which have a long tail AND which have a long tail that can be served via digital technology. Let me know if you make it big. * - If you're looking at a solution (like Kickstarter or Elance) you have to consider the needs of anyone interacting with the independent players. In the case of Kickstarter, for example, you can't just make sure the people making the creative projects are having their needs met, you also have to incorporate the needs of the crowd funders when building the solution. Has anyone really thought about what Detroit needs? Imagine something that will fill your customer's need. That's it, that's all you've gotta do. Of course, there's a lot of sophistication with how to make this happen. Define who your customer is. - This is easy, sort of, let's assume citizens of the City of Detroit. Find out what they need. - This is what I don't see being articulated. Do people need agency? Do they need to feel safe? Do they need distraction and entertainment? Do they need opportunity? What does Detroit need, really? Make it. - Self explanatory. Give it to them. - Self explanatory. Here's why it matters. For every need that exists, there's hundreds of ways to solve that need. Take "bring light to darkness in your home" as an example of a need. You could solve that need with a fire, a lantern, a fluorescent light, an incandescent light, a flashlight, etc. People don't need lamps, they need light in dark places. There's a difference. The problem is, when you don't define what someone needs really well, it's hard to give them a solution that really works for them. Providing solutions to problems is aided greatly by defining the right need. Solutions without real needs don't last and aren't useful. So for real, if anyone has found good articulations of what Detroit needs (or what subgroups of Detroiters need) please point me to it. If nobody has found anything, we're in a bad spot because it means people are prescribing solutions without understanding needs. That leads to bad solutions or solutions that work only because of luck. In the previous post of this series, I proposed that we don’t have a sound theoretical framework for understanding forms of non-economic value creation. Because we don’t have a theoretical framework for understanding non-economic value (e.g., social value) we don’t have tools to measure and assess our efforts to create it. In turn, we aren’t very good at addressing social problems. As I mentioned in the post, Business Must Do Good, social value is all about happiness. So any framework for understanding social value must aim to explain happiness, which I’ll call “welfare” in this post. For those of you who are economists, you can think of welfare as an analog for consumer and producer surplus. For now, I’ll go straight into a work-in-progress framework for understanding social value (i.e., welfare), leaving out much of the theoretical underpinnings. I’ll save those for a subsequent post. Needless to say, it’s a little complicated. There are several types of social value (e.g., physical health, intellectual engagement, social engagement, emotional health, etc.). For the sake of introducing the framework, I’ll focus on physical health. What’s different about social value, is that it’s not always best to maximizing or minimizing a certain quantity – like some abstract measure of physical health, like resting heart rate or weight. For social value, it’s instead important to be in balance between extremes. Moreover, it’s not always about absolutely quantities either, sometimes welfare is derived from comparisons between an individual’s level of welfare versus another person, versus their aspiration, or versus their perception of their level of welfare. Overview: This is a horizontal bar and not a wedge, for a reason. I don’t thin social value should be measured implying more is better than less, it’s all about meeting expectation, being in balance, and having equity between people…because that’s what makes us happy. This bar is a simple way of plotting out certain types of information in a cohesive way, and what is important to interpret is how these quantities of welfare relate to each other. The bar as a whole is a range of possible levels of welfare for some value driver, in the realm of physical health maybe it’s something like resting heart rate, blood pressure, weight, or some quotient between the three. Points of indifference: I have plotted upper limits and lower limits of indifference. By this I imply there are values where it doesn’t matter so much if one has more or less welfare. Take resting heart rate or weight for example, if you’re in a certain range you’re considered healthy and it doesn’t really matter if you’re within that range. When you fall outside that range, it’s not a great thing. For individuals, the interpretation tactic here would be to see whether people fall inside our outside this range of indifference. For societies, you could evaluate – in aggregate – what the distribution of people across the value driver is…say in a histogram. You could also look at whether the range between the indifference points is increasing or decreasing. Desired Point, Actual Point, and Perceived Point: Think of this using the example of weight. On this horizontal bar, different people would have different desires of where they would want to be, where they actually are, and where they perceive they are. Plotting these points would provide insights on whether people are actually happy because you could evaluate the gaps between these points. For individuals the interpretation tactic would be to look at the gaps between desired points, actual points, and perceived points because they would give some indication on how happy that person is (because a lot of what makes us happy is whether we are getting what we desire. For societies, you could aggregate and look at centrality and variances measures for these values and the distances between them. Ability and Perceived Ability to Change Actual Point (Changeability Coefficients): A final component that affects our happiness is whether or not we have the agency to change our actual life outcomes. Again, think of weight as an example – if we think we can’t change our weight or actually can’t change our weight and we want to, it make us unhappy. You’d have to measure this as some sort of coefficient or rate and represent it in some way (explicitly or maybe changing the color of the graph to represent different coefficients). You could measure this at the individual or aggregate level. I also invite you to challenge my ideas a lot. This is a huge idea and I want to work collaboratively to get it right. If we, together, do get this idea right…it sincerely and wholeheartedly believe it could provide the foundation for groundbreaking work. Once I’m able to articulate the complexities of social value, I’ll move on to Civic Value and Spiritual Value. You Can’t Manage What You Can’t Assess (And Measure) A few months ago I introduced the notion that Business Must Do Good. Urban Innovation Exchange even picked up the post. In that post I proposed that there are four kinds of value that can be created: economic, social, civic, and spiritual. These types of value creation are inevitable in the organizational world. As businesses, governments, NGOs, religious organizations, and others consume resources to operate, they will inevitable create and destroy value. Some of that value will be in each of the four realms I have described: economic, social, civic, and spiritual. We can’t manage value creation in each of these realms unless we assess them. Without some form of assessment, categorization, and measurement we will not be able to proactively take steps to create or destroy value in each of these realms. As a result, even though me may want to create social, civic, or spiritual value, we won’t be able to intentionally. 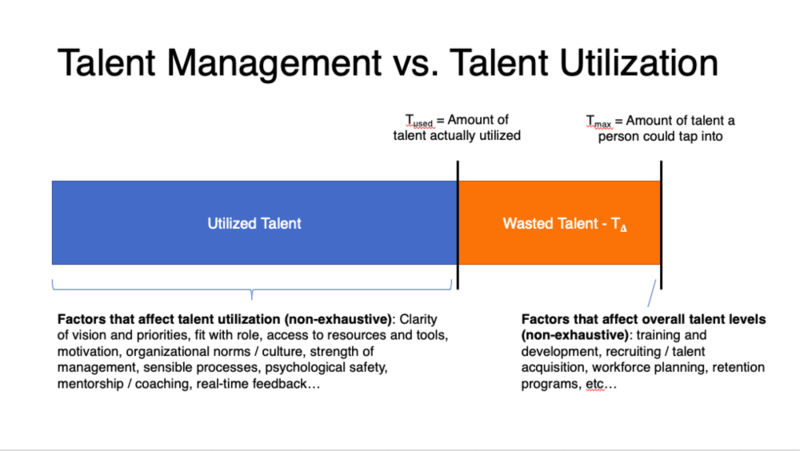 In short – you can’t manage what you can’t assess (and measure). And by that I don’t mean that we have to measure social, civic, or spiritual value and convert it into a dollar value. In fact, I think that’s a foolish exercise that can’t be done. This idea is so important (and so misunderstood), I’ll focus on the relationship between economic and social value in a subsequent post. Since we want to manage (and foster) the creation of social, civic, and spiritual value, it’s absolutely essential for us to assess and understand it. This is to say that we need to measure value. Many have failed in attempting to assess non-economic value. Now, I’d like to present a new approach. We have some really good tools for understanding economic value. If you take an introductory strategy class in business school, you’ll quickly learn about the wedge as a framework for understanding value. Everything in business tries to affect these parts of the wedge to create more value. Because creating (and capturing) value is the goal, there are all sorts of things to measuring each aspect of this diagram, people study this stuff like crazy – whether it’s how to optimizing pricing to figuring out how to accurately define how much a customer is willing to pay, and more, not to mention oodles of ways to measure costs. The point is this: because managers measure willingness to pay, price, and cost – and study it like crazy – they are able to analyze what’s preventing them from creating value and change something to create more value. The tools of business require measurement to improve performance. Business tools, it turns out, are derived from this “wedge” because it’s a simple framework for defining economic value. The wedge, unfortunately, doesn’t translate well to non-economic value. Happiness (the aim of social value) doesn’t have traditional "costs" and it’s really hard to measure happiness in terms of dollars, nor does it have “prices” in the same way as economic value. I propose that this is why we're swimming around aimlessly when it comes to measuring non-economic value: we don’t have a simple way of understanding what social value is. We need a novel representation of social value – like the wedge – except for social, civic, and spiritual value. Once we have those, we can build more sophisticated tools to understand and measure non-economic forms of value. For the past few months, I’ve been questioning, tinkering, and exploring how to develop a framework for non-economic forms of value. I started with social value. Read the next post in this series to discover and provide feedback on what I’m coming up with. In Detroit, we celebrate entrepreneurs - whether they be social, civic, or for-profit entrepreneurs - and rightly so. Entrepreneurs create new technologies and possibilities in the markets they attempt to serve and disrupt. What is also true, however, is that entrepreneurs are scrappy. Their resources are often limited, so it makes sense that successful entrepreneurs seem to have vision, ingenuity, creativity, drive, and a willingness to take risk - without these things, entrepreneurs would have no edge over incumbents because they certainly have less resources. Entrepreneurs make do and ultimately succeed with less resources than their corporate counterparts. In my mind, this is an oxymoron. Why are entrepreneurs the ones who change industries and social problems, even though they usually have less talent, money, or other resources? The most obvious explanation is that entrepreneurs can work without the confining attributes of large, political, risk-averse organizations. Entrepreneurs don't have to cut through red tape like those in corporations do. Because they're freed from the confines of traditional organizations they have high "ROR" - or "return on resources." By this I mean, they have a lot of results, given the limited about of resources to which they have access. But, imagine the value that would be created if the ROR of organizations with large amounts of resources were higher? A 10% ROR for a $1B company is much higher than that of a $1M company. A person within a large corporation who takes direct responsibility for turning an idea into a profitable finished product through assertive risk-taking and innovation. These intrapreneurs might create new products or services to generate increased profits within a business. Or maybe an intrapreneur builds a new idea which increases the social impact of the organization. Maybe the intrapreneur changes the way a company works so that it's a happier, healthier, or more effective organization. Much like the way countries can't always export their way out of recession, I don't think Detroit will become a more vibrant city if we only create entrepreneurs. Entrepreneurship can't wholly replace the city's existing employment opportunities and industries except in decades, maybe. Entrepreneurship takes too long and is very risky, to name a few reasons. More than that, we have a tremendous amount of talent and resources in our local companies. To let those resources atrophy and become obsolete would be a waste and lost opportunity. Imagine: Detroit could be a hub of private sector and local government intraprenurship and lead the nation in such efforts. We have institutions, companies, and industries ripe for a fresh approach. We have a dire need to adapt to changing economic, social, and civic realities. We also have a history of tenacious work ethic and ingenuity. Detroit could be home to the world's best intrapreneurs and we would be better for it. I want to intern in Detroit this summer and I’m extremely interested in things like Consumer Insights, New Product Development, Future Trends Analysis, and Strategic Planning. Basically, I like building and launching new things. Seeing as how working in Auto is the likeliest of these routes (though not exclusively), I figured I’d see if I could actually come up with visionary ideas about the automotive industry. This post is the third installment in a series I hope to keep with over the next few months. In it I will try to empathize with different customer segments and think of new products or services that would serve them in fresh ways. If you think my ideas are legit, I’d appreciate your help in finding a sweet gig for the summer. If you think my ideas are far from legit, I’d appreciate your feedback. One of the reasons I find the automotive industry very unique is because of how cars are sold. Think about it, how many products in the world have a named career path? In auto, you can be a car salesman, for almost any other product you're known just as a "salesman", except maybe for insurance. I think that's a testament to how special automobiles are in our culture and the uniqueness of automobiles as a product. Because sales are so important to the industry, and because dealers don't seem to have changed radically in the past few decades, I figured I'd try to reimagine what dealerships might be in the future. Because dealers are a common link between many different types of customers, I'll provide a short description of every kind of dealer experience I can think of (at least in a first round of thinking). It would take much more market research to decide between this set of ideas. Also, some motivation for this post: Apple has a unique retail experience for computers. If that's the case, it seems silly NOT to reimagine dealerships because the product (a car) is much more intricate than a computer and something people are as passionate about as Apple products. There are some people who LOVE cars. These are the Top Gear-watching, horsepower-hoarding, car enthusiasts that see these products not as appliances but as works of art and human ingenuity. Why not interface with these people directly? I can see a dealership as being a community space for car lovers. Maybe you get a sneak peek at new models or features. Maybe you get to learn advanced auto-modding. Maybe you have a beer with other gearheads in your area. The dealership itself could be a place where people come together to share their love for automobiles. An added benefit to the OEM is that they can get valuable feedback from these super passionate, "extreme" users of their product. Owning a car isn't easy. You have to maintain it, you have to understand how it works, and all this takes a lot of time. Why not have the dealership be an automobile concierge of sorts? Maybe if you have a dealer "membership", you pay the dealer a fixed fee (like a service package) and they take care of any repairs you need. You get an oil change and its free. They do basic maintenance on your car for you. They do all the taking care of the car, so the customer doesn't have to. Maybe they even teach you about how to take care of your car and give you opportunities to learn about car ownership. Think of it like getting an extended service contract or warranty for your vehicle and a car education to boot. The dealer would be a center of activity which helps people have a painless car ownership experience. I used to work in the city and now I live in a smaller place. Something that was very annoying to me was always parking and doing minor repairs to my car - I could never find the time for something non-urgent. So, why not combine both these needs for urban consumers? The OEM would have a small parking lot, perhaps in a structure, and the driver would go to work...maybe by bus, subway, or bike share. While the driver is at work, maybe they can arrange to have basic car repair completed, maybe an oil change, new lights, a wash, tune up, tires, windshield wipers, etc. This would help with having a place to park, having repairs done, and having a hub to get people the "last mile" on their commute. As far as this "last mile" stuff goes, I think that's a new business model in itself which I'll try to discuss in a future post as it is only peripherally relevant to dealerships. You don't need much to sell a car. All you really need is, well, the car. So why not have a pop up on a busy street that has a small booth, but mostly just has models to test drive or inspect by passersby. That way it would keep "dealer" costs down and would still give potential buyers a chance check out cars as they walked by. This could be a fun and low-cost way for carmakers to give consumers exposure to their best products in an environment the consumer already is in...cities. Maybe car dealerships can be agents of social good, too. There are lots of kids that probably like learning physics, engineering, design, and similar things. With a curriculum built up for wide use, maybe car dealership could be an experiential learning environment for students across the country. After school students could go to the dealership and maybe a mechanic does a lesson with you. Maybe they bring in speakers who work in automotive engineering or design for sessions with parents and kids together. The dealership is a space that's not always 100% utilized that oozes engineering and design. Why not get other, younger people, interested as well? Overall, I think dealers could go in many directions. But to do that, we'd have to think of dealers as more than "a place where cars are sold." I think we can, and should. As a bit of motivation / business case discussion - having an ongoing, positive, touchpoint with consumers is probably good for business. Once I leave the lot, I hate going to dealerships and mechanics. As a comparison, I love going to the Apple Store (or REI, for that matter) and kind of enjoy spending money there. More programs doesn't mean more impact, just as more market share doesn't mean more profits. Not-so-good Managers in both sectors don't understand this fully. Increasing market share or programs makes you look like a better manager / executive, but it doesn't mean you are a better manager / executive. The anecdotal difference, I think, is that founders in the private sector are crazy about profits whereas founders in the social sector seem more likely to be interested in their "market share" than their private sector peers.